By Fabric Finders Fine Quality Heirloom Fabrics. 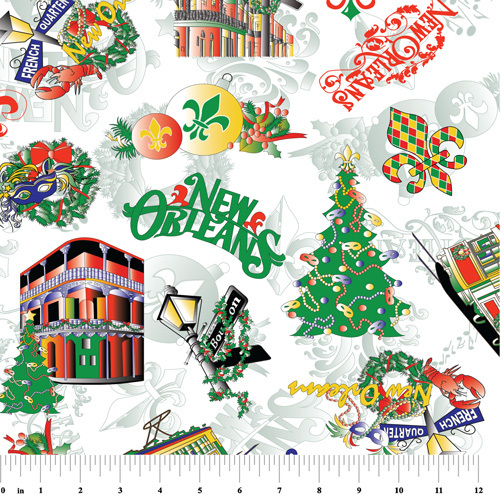 New Orleans Christmas toile fabric. 100% cotton fabric. Lightweight and drapes beautifully. Suitable for apparel or quilting. Pattern # 2148.